Vent carbon dioxide gas as you ferment vegetables, make wine, or brew beer at home. Simply remove the plastic cap and fill the bubble airlock with water to the fill lines. Then insert the water-filled airlock into a rubber bung stopper with hole or an airlock grommet. This twin bubble airlock allows CO2 to escape and makes fermenting at home easy. 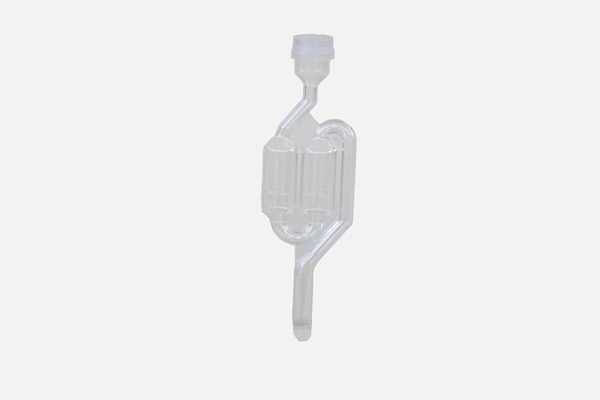 Airlock is made from durable plastic. Cleaning the airlock is easy with soap and water. Airlock fits in most fermenting airlock lids, rubber stoppers, and bungs.